One of the most eagerly-anticipated films of 2018 is the action blockbuster Robin Hood and thanks to our friends at Studio Canal you and a friend could be seeing it one us. 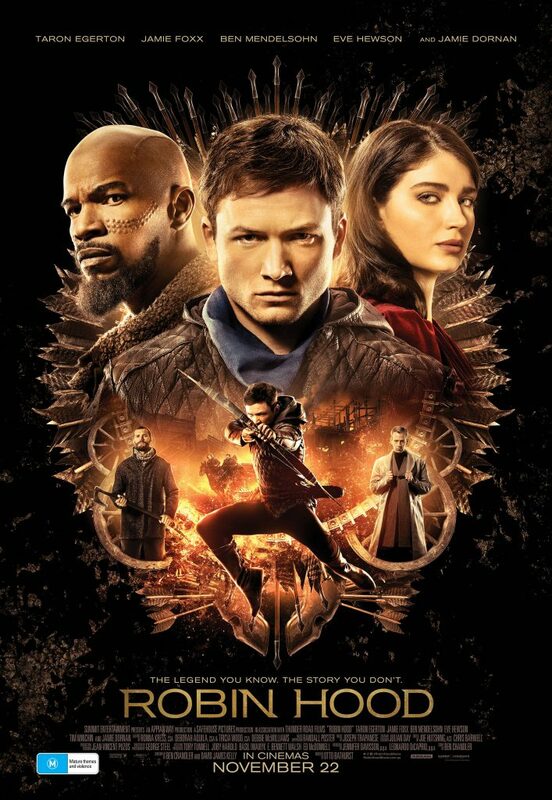 Robin of Loxley (Taron Egerton), a war-hardened Crusader, and his Moorish commander (Jamie Foxx) mount an audacious revolt against the corrupt English crown in this thrilling action-adventure packed with gritty battlefield exploits, mind-blowing fight choreography and a timeless romance. This Summer’s must-see blockbuster opens in cinemas November 22 and is rated M! For your chance to see Robin Hood simply private message our Facebook page and tell us which Australian actor appears in Robin Hood.